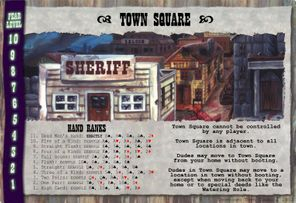 Gregory Charvet made this "set" of Doomtown cards back in the late 90's/early 00's. 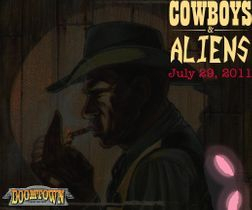 A good twist of humor and some creative ideas make it still a very memorable entry into the Doomtown universe. 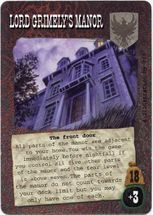 To me one of the standouts of this set is the Whateley Home of Lord Grimley's Manor. 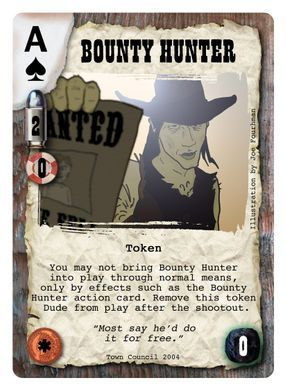 It has 5 companion cards that when all are in play, win the game. A very original idea. 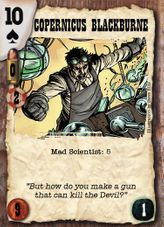 The cards have been moved to an imgur site, due to webs.com storage limits. This was a new Rolling Thunder style series from Gregory Chavet. At some point, he stopped hosting it, but I recently got my hands on it and with his permission am sharing it with you, the writhing unwashed masses. I hope you enjoy it! Episode 4 was unfinished/unreleased. 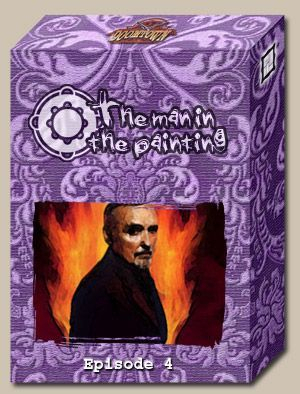 I was authorized to release some of what Gregory had planned for this. There are also a few other treats of what he had planned to do had he continued the project. He has told me I can basically share everything but his new "Agenda" card type. Which I may (with his permission) include later at some point after doing a little work on it myself..
View the set as a PDF or as individual images. View the set as a PDF or individual images. This is a Parody Set by Tim J. Meyer. 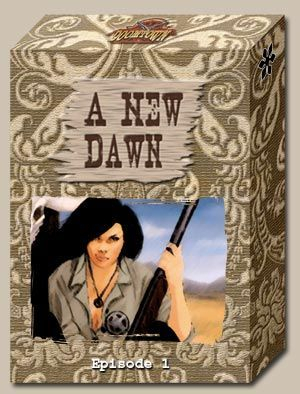 With the 2011 movie of the same name, many expected a surge in interest in the "Weird western." Hoping to capitalize on this, a set staring the Irken Invaders (of Invader Zim) was born. 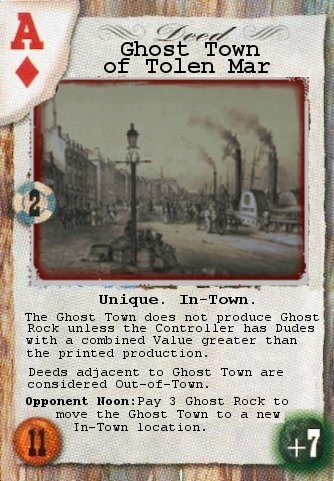 The Set featured a new faction, some new rules and even features some new card styles. 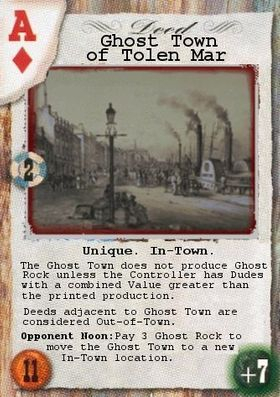 Check it out here..
Tim J. Meyer was toying with a new card styles for Doomtown. 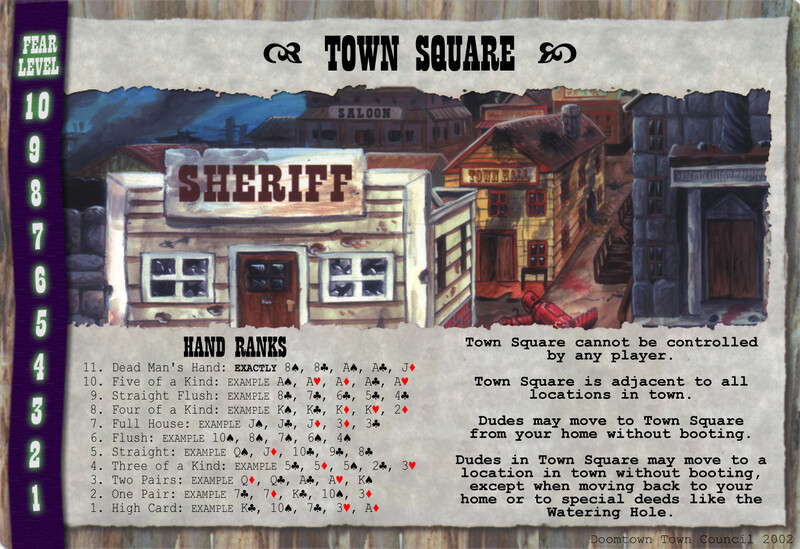 As he went he tried a number of things and got feedback from the Doomtown community and a card design community. In the end he decided the originals were just too good to improve upon. Click here to view more concepts. 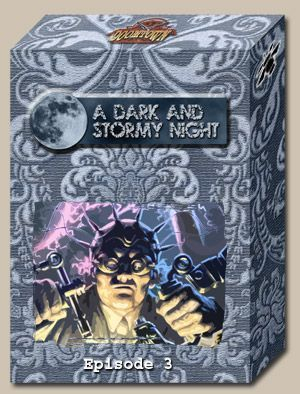 Over the years, and across the internet, Tim J. Myer has posted several cards that don't fall into any specific category. From cards for and based on his league back in the 2000's, to A card used as a joking suggestion of stretch goals for the Deadlands Noir Kickstarter campaign. Check out all his "varied" creations here. Some random other cards that are not featured elsewhere on the site. 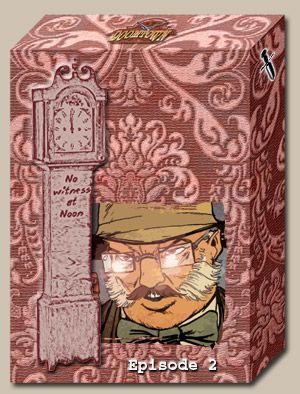 This image appeared on the front page of the old website "Tolen Mar". Design credit unknown. Put out by the "Town Council" in 2002, this player aid was hosted at fourhman.com.